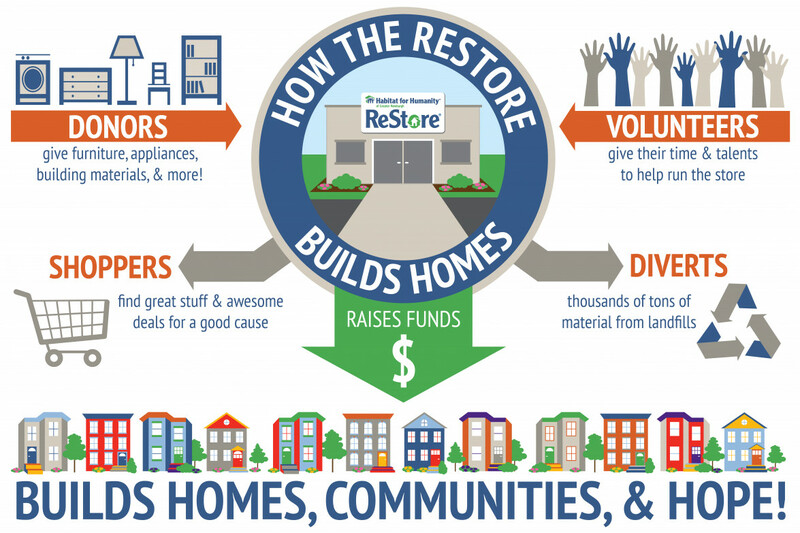 Donors donate items to the ReStore and receive our gratitude and tax-deductible receipts. Shoppers purchase high quality merchandise often with 50 to 90% off the original retail cost and in doing so support the elimination of substandard housing in their area with every transaction. Volunteers keep the restore sustainable by donating their time and energy to the daily operations of the store. June 18th is Father's Day! June 18th is Father's Day....surprise him with this fantastic red leather chaise & vintage stereo!